Increase General Fund Giving 20-60% in Just Five Weeks! In addition to church capital campaign consulting, we also offer annual stewardship coaching either as part of a comprehensive stewardship solution or as a stand-alone engagement. While a capital campaign will encourage people to give above and beyond their tithes and offerings for the campaign period, an effective annual stewardship series will change people for life! The 5-week Dynamic Giving System™ has helped over a thousand churches in more than 25 countries increase giving by 15 to 160 percent. In the United States, churches typically see increases in tithes and offerings of 20-60% on an annualized basis, all from a single 5-week stewardship program! Imagine What Even a Modest 25% Increase in Tithes and Offerings Could Mean to Your Ministry! While you are almost certainly going to experience an increase of 20% or more, our Annual Stewardship Program has been proven to provide annualized increases to general fund giving of over 50%. The author of this program increased giving in his church 105% in 3-years using this biblical teaching approach! All this benefit from just one small coaching investment. They Don’t Teach This in Seminary! 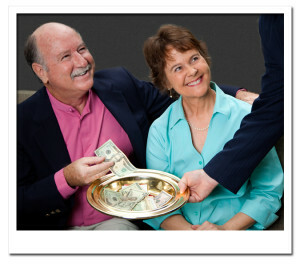 Biblically encouraging congregants to give is perhaps the most under-taught pastoral skill of our generation. As a result, many pastors today are afraid and/or unequipped to encourage their congregation in this spiritual discipline, to the detriment of both the givers and the ministry. We Can Help! We guide the pastor and staff in implementing the ten-step Dynamic Giving System™, a biblical and proven general fund stewardship program that can (and probably should) be used annually thereafter. Once you have received the materials and coaching, there is nothing to keep you from doing the same year after year. Contact us to learn more about how your church can develop more cheerful givers or to schedule a complimentary pastor to pastor consultation with Dr. Rod Rogers, author of the program and pastor with over 25 years experience. Share the post "A Biblical & Effective Annual Stewardship Program"